The move is in line with the company’s diversification strategy to move away from its traditional insurance and banking businesses - which have been hurt by the low and negative interest rates in Japan - and expand into the logistics business, which started in 2015 when it acquired Australian transport and logistics provider Toll Group. According to a report by Bloomberg, Japan Post and Toll will invest equally in JP Toll, each providing several billion yen. Negotiations are proceeding with an eye to appointing Taneki Ono, an executive officer at Japan Post, as president of the venture. JP Toll will have access to Japan Post's nationwide network of branches and delivery depots. With this access and Toll Holdings' expertise, the new company will pitch large-lot contracts for comprehensive logistics coverage in Japan. The Bloomberg report added that Japan Post group believes the joint venture will complement its postal and home delivery services. Deliveries of letters, postcards and the like are tapering off, but there is growth in its Yu-Pack parcel courier service, which is used by both individual and corporate shippers. The partnership will enable Japan Post to increase its postal and home delivery services. 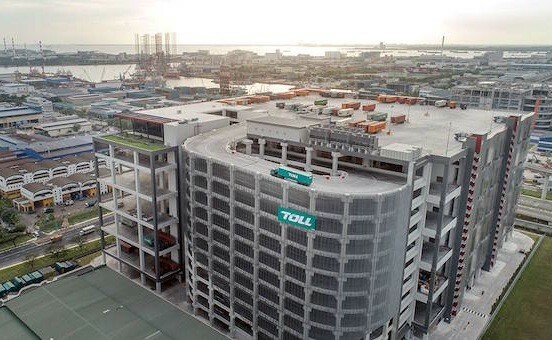 Japan Post bought Australian Toll Holdings in 2015 for around US$5.5 billion and in July this year it officially opened Toll City - a S$228 million (US$165 million), logistics hub in Tuas, Singapore, located less than 3km away from the upcoming Tuas Port in 2019, which will consolidate all of Singapore’s container operations in one terminal and handle up to 65 million TEUs per year when fully operational.